When you're looking to evaluate risk, the Failure Mode & Effects Analysis (FMEA) is a good choice. - S - The severity of the consequences in the case it occurs. - O - The probability it has to occur. - D - The probability of being detected before the shipping. Each one of these 3 situations is rated on a scale that ranges from 1 to 10. 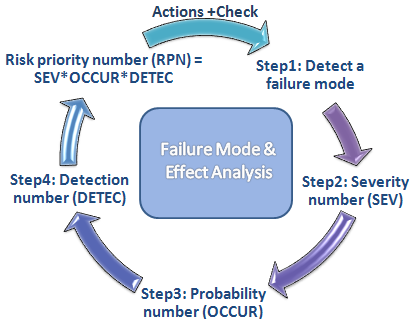 Then, in order to find the Risk Priority Number (RPN), the 3 values are multiplied. In case the RPN is above a specified number, you'll need to act to reduce it.